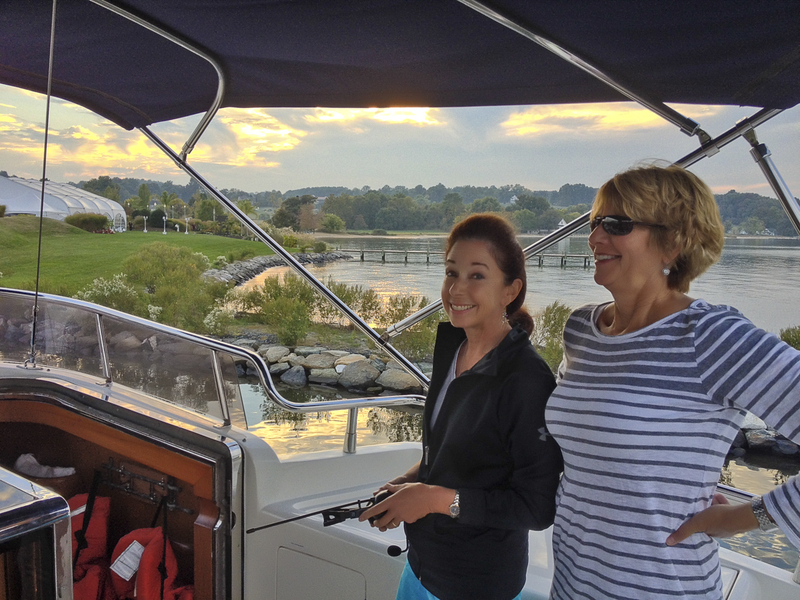 We left Big Smile at Washburns Boat Yard this week and headed north to NJ. I had driven her down from Herrington Harbor while Cath brought the car down. It was a chilly day to motor with 15+ north winds and temps in the 50’s. Made it in less than five hours however and was greeted by the Washburn staff. 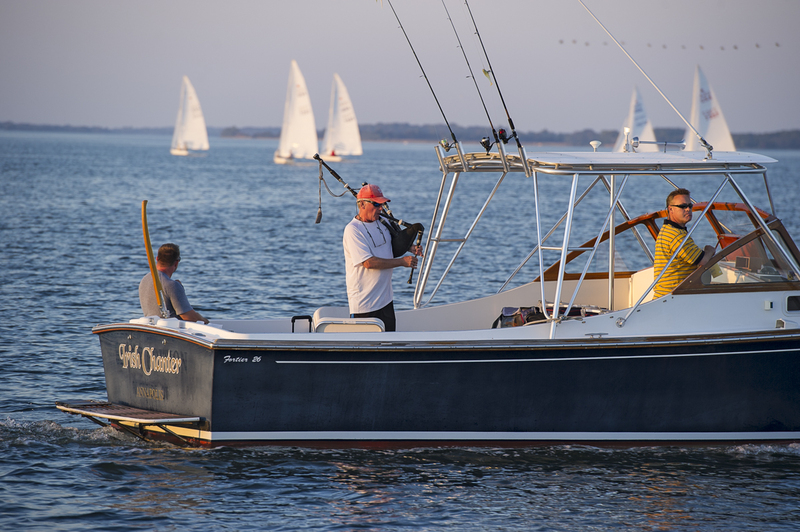 She will remain at Washburns for 3-4 weeks while maintenance work is done and new Garmin electronics are installed. Our last two weeks at Herrington Harbor were busy. The weather all summer was great and these two weeks were no exception with warm days and no rain. 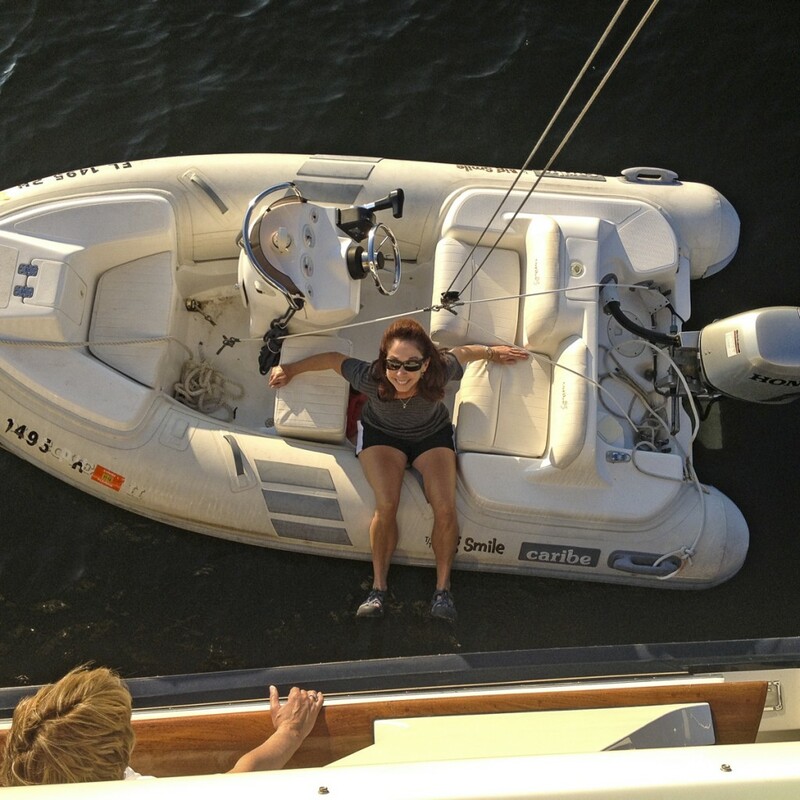 We managed to fit in two boat shows and a Navy-Air Force football game with guests in between. 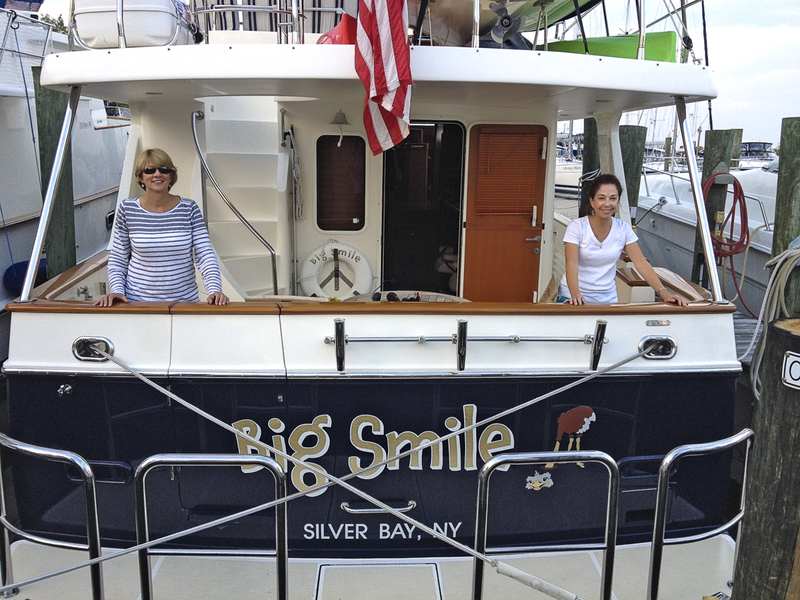 We spent a full day at the Trawlerfest show in Baltimore where we saw the boat about which a book was written that led to the naming of Big Smile. The show was fun but there were not many land exhibitors. Andrew and Nicole visited for a quick weekend and on Sunday we took the opportunity to try out the best brunch stop in Annapolis. Miss Shirley’s, which we found on Tripadvisor, was packed. After a 15 minute wait the four of us sat and ate the most superb and creative brunch imaginable. Even their version of a Bloody Mary, called the “Spicy Shirley”, was edible and delicious. Afterwards we walked downtown Annapolis. 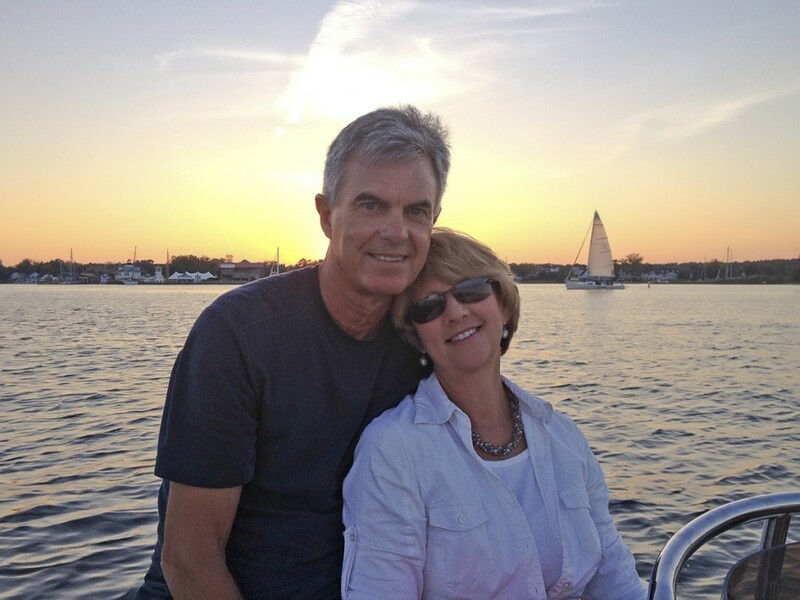 Mid week we were joined by our friends Kobus and Susie. 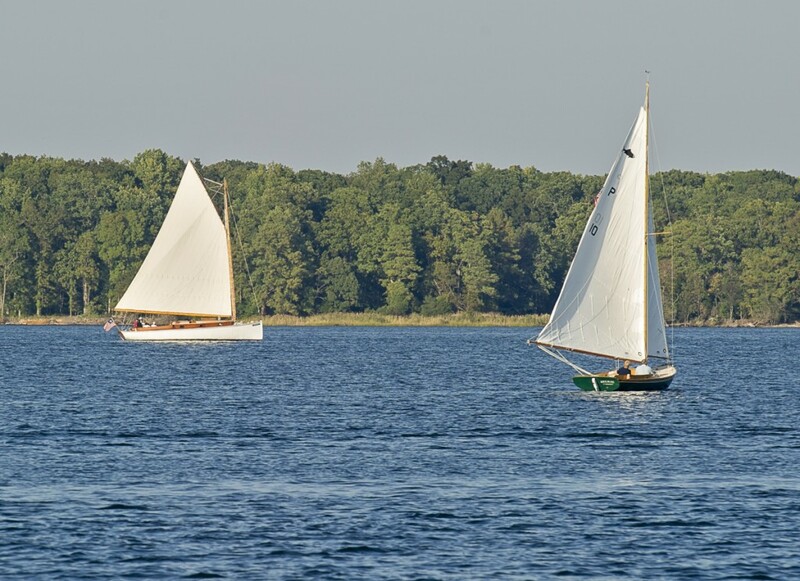 We left Herrington and motored to St Michaels arriving at 5:30 just as the Wednesday evening races were starting. An eclectic group of boats for the open category provided great viewing. Getting ready to race on the Miles River. Bagpiper at start of race. After cocktails topside we lowered the dink and headed in for dinner. 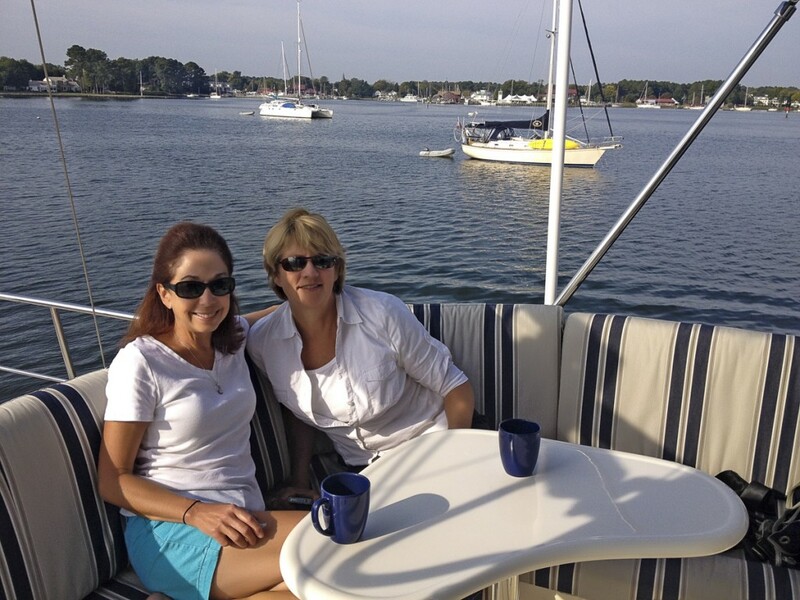 St Michaels caters to boaters and has a large dinghy dock and many restaurants. 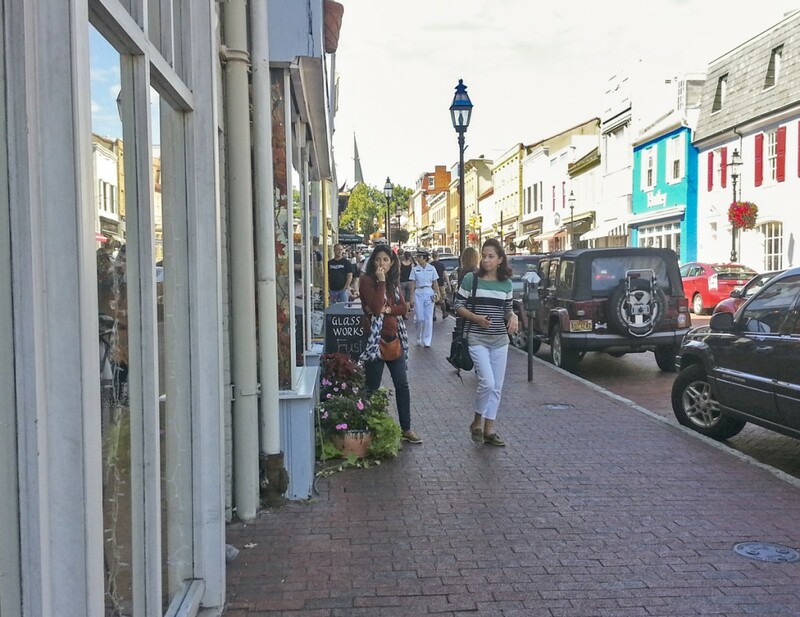 Awoke to another perfect Chesapeake day and after coffee it was back into town for a stroll on the main street. Weighed anchor mid afternoon and 3.5 hours later we pulled back into Herrington Harbor. 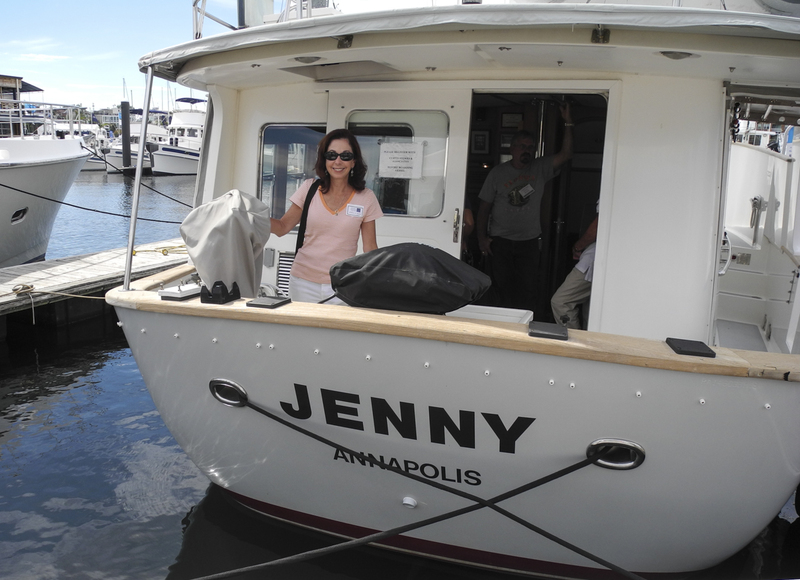 Friday had the four of us in Annapolis for the powerboat show. Cath and I spent the entire day walking the show while our friends had to leave for NJ. 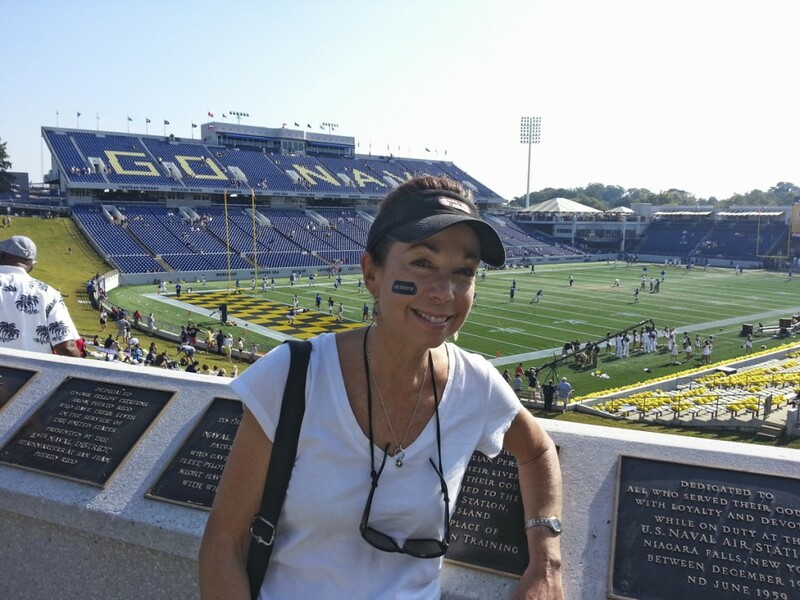 Saturday it was back to Annapolis for the Navy/Air Force football game. Whether the game would be played was up in the air until two days before game day. As ludicrous as it sounds the government shutdown had forced Air Force to scramble to find a way to fly the team to Annapolis. 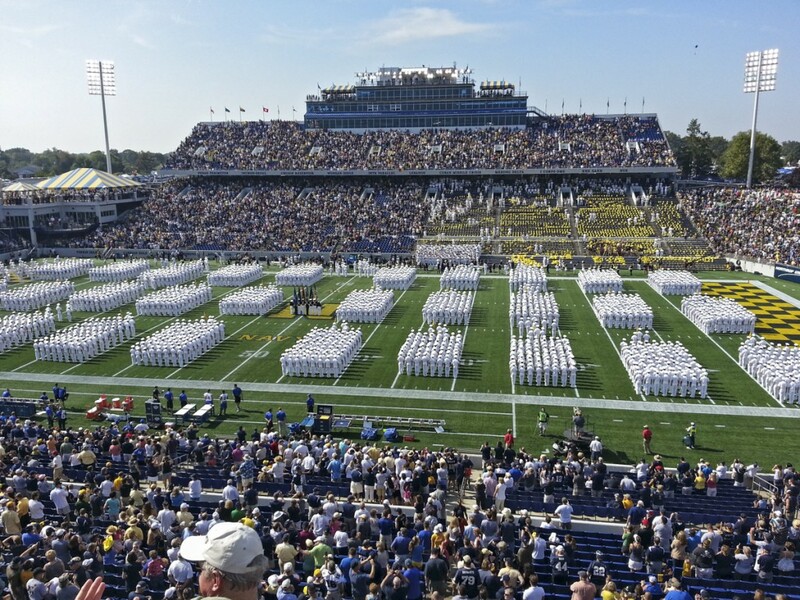 They made it and the largest crowd to fill Navy-Marine Corps Memorial Stadium sweated in 93 degree sunshine and watched Navy dominate. It was a lot of fun. 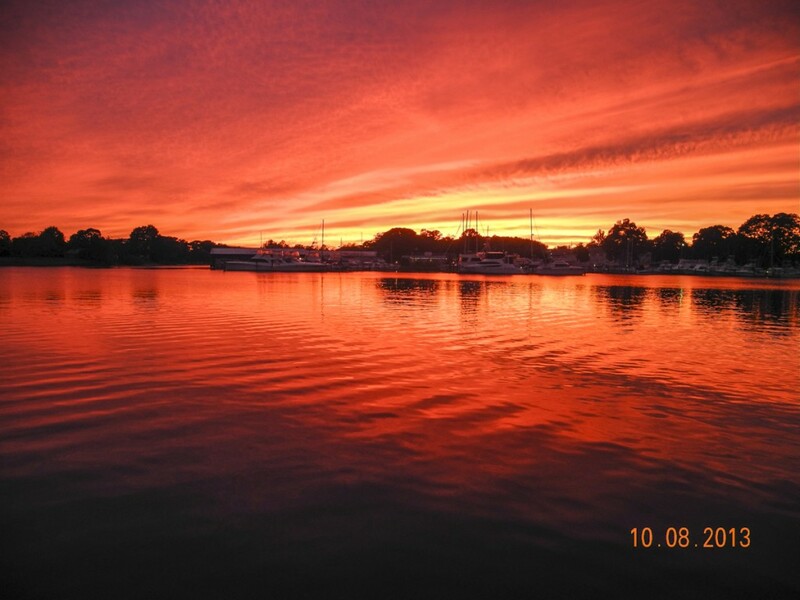 Our last night on board at Washburns provided a gorgeous sunset.